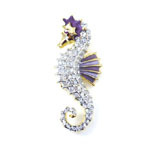 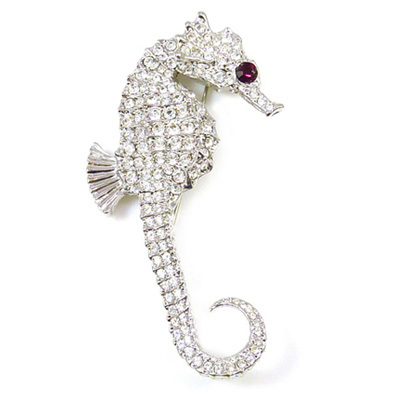 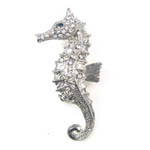 Large seahorse brooch encrusted all over with clear swarovski crystals and a light siam crystal for the eye a rhodium frame. 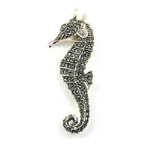 Stamped with KJL. 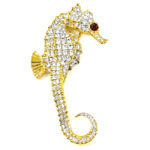 Size: 4.7 x 8.6 cms.